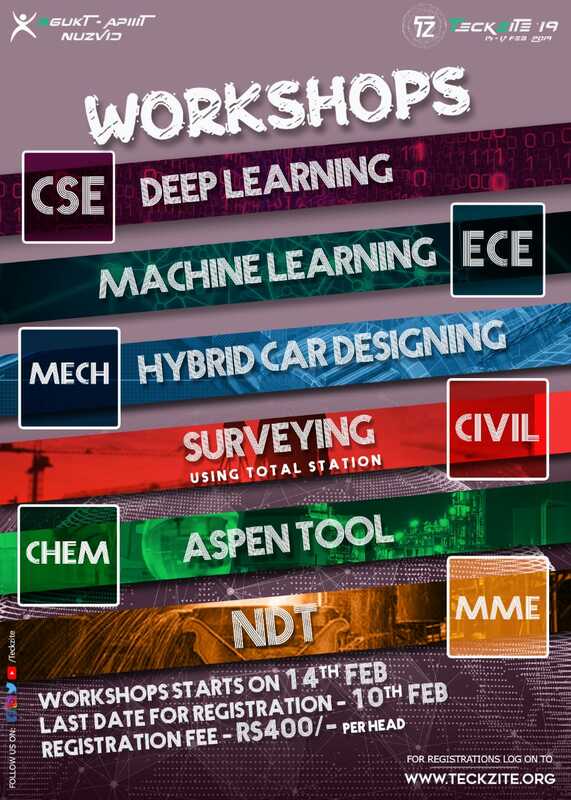 SDCAC (Student Development & Campus Activity Cell) RGUKT Nuzvid, is organizing a National level Techno-Management Fest at our campus during 15-17th February, 2019. SDCAC is a student organizing body, established in RGUKT Nuzvid “to promote Technology and Scientific Thinking and Innovation”. 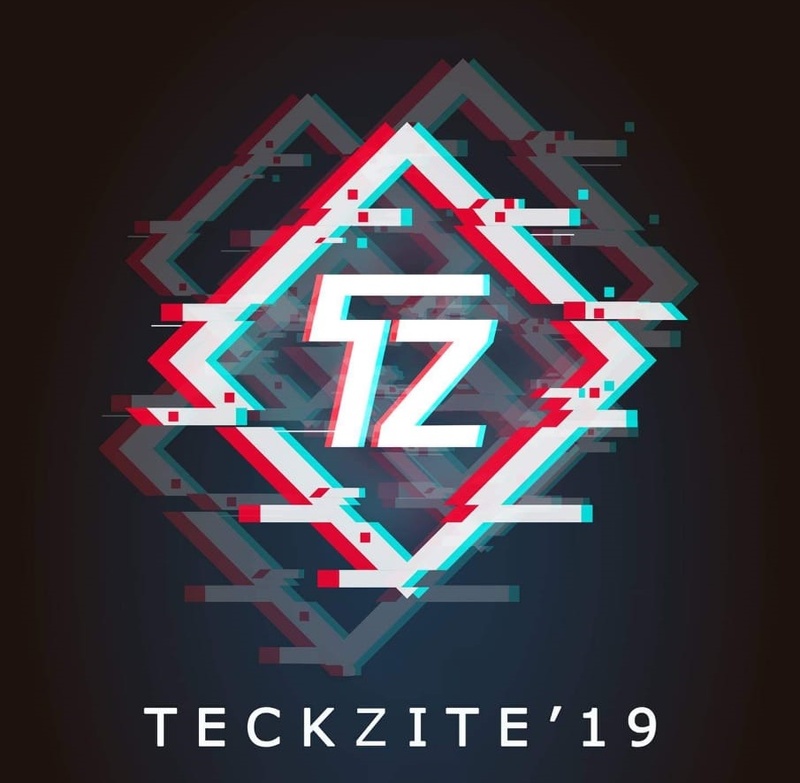 Teckzite'19 is known for hosting a variety of events that include Technical competitions, games, exhibitions, Guest talks by eminent personalities, workshops, and many more musical grand nights. This festival aims for providing a platform for the Indian student community to develop and showcase their technical and sports prowess. 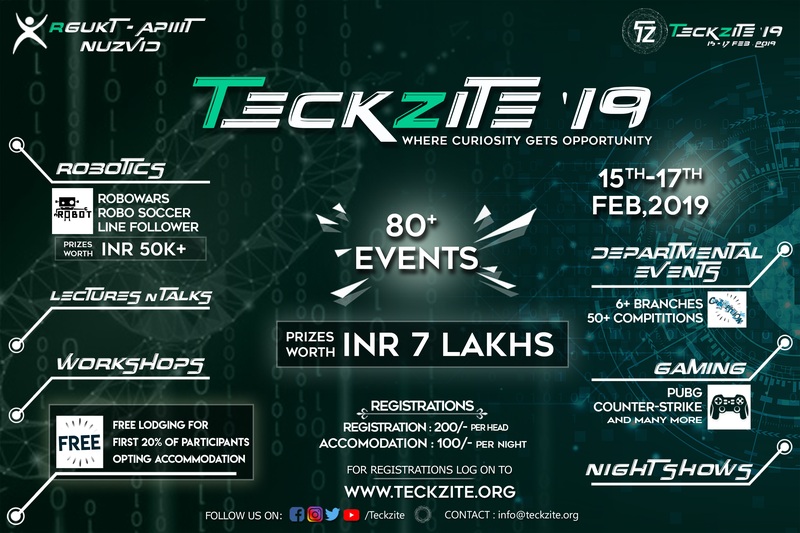 The activities culminate in a grand three day festival event in the campus of RGUKT Nuzvid which attracts people from all over the country, including students, academia, corporate and the school children. 2015-16 © Rajiv Gandhi University of Knowledge Technologies, Nuzvid. All rights reserved. The Rajiv Gandhi University of Knowledge Technologies has been constituted under A.P. Act No. 18 of 2008.